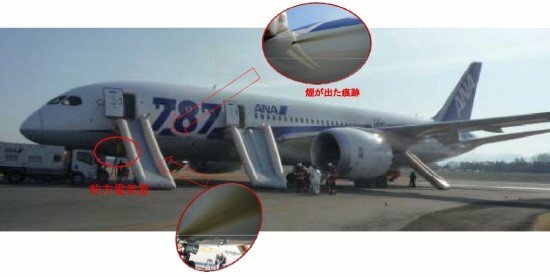 The Japan Transportation Safety Board (JTSB) issued preliminary findings of the investigation into a Boeing 787 Dreamliner battery incident. On January 16, 2013, All Nippon Dreamliner JA804A diverted to Takamatsu Airport, Japan following instrument indications of smoke in the forward electrical compartment. The airplane was en route between Yamaguchi and Tokyo at FL320 at the time of the smoke indications. The airplane made a safe emergency landing and was stopped on the taxiway. An emergency evacuation was then carried out. One passenger was injured in the evacuation. An investigation of the battery revealed a thermal runaway had occurred in one of the eight lithium-ion cells. Officials say its aluminum electrodes had melted down at temperatures of about 660° Celsius (1,220 Fahrenheit).